“Breakthrough: Work by Contemporary Chinese Artists,” eight pioneering women artists, through Jan. 5; “Regarding the Forces of Nature: From Alma Thomas to Yayoi Kusama,” selection of works by distinguished women artists includes paintings by Yayoi Kusama and Alma Thomas, through March 9; “The Object Show,” small and rarely seen objects from diverse collections, through June 8. Bowdoin College Museum of Art, 9400 College Station, Brunswick. www.bowdoin.edu/art-museum. “American Vision: Photographs from the Collection of Owen and Anna Wells,” 40 photographs provide an extraordinary survey of 20th-century American photography, through Feb. 23; “Piece Work,” 2013 Portland Museum of Art Biennial, recent work by 30 artists, through Jan. 5; “9 Walks,” nine video projections by Amy Stacey Curtis, through Jan. 5; “J480N R063N38,” installation of large-scale sculptural forms by Jason Rogenes in the PMA family space, through Jan. 5; “Redacted,” paintings and drawings by Ahmed Alsoudani, Iraqi artist and MECA graduate, through Feb. 2. Portland Museum of Art. portlandmuseum.org. “Beings,” sculpture by Eva Goetz and Nanci Khan. Through Tuesday. Maine Jewish Museum, 267 Congress St., Portland. mainejewish museum.org. “The Lunder Collection,” works by Whistler, Homer, O’Keefe and many more American masters, through June 8; “Nowhere But Here,” works by Marsden Hartley, Arthur Dove, Elizabeth Murray, Ben Pier and others, through Jan. 5; plus “Spaces and Places” and “American Weathervanes.” Colby College Museum of Art, 5600 Mayflower Hill Drive, Waterville. www.colby.edu/museum. “Underfoot: Footwear, Hooked Rugs, In the Cellar and Below Decks,” Through Feb. 22. Penobscot Marine Museum, 5 Church St., Searsport. www.penobscotmarinemuseum.org. “On Finding Home,” figures carved from wood and finished with painted surfaces by Sachiko Akitama. Through Jan. 4. University of Maine Museum of Art, 40 Harlow St., Bangor. www.umma.umaine.edu. Wearable Art, by Maine artists to wear and live with. Through Dec. 31. Markings Gallery, 50 Front St., Bath. 7th annual Extravaganza, variety of work by more than 70 Maine artists, through Tuesday. Aarhus Gallery, 50 Main St., Belfast. aarhusgallery.com. “Winter Harbor & Penobscot Bay,” small, bold oil paintings by Brita Holmquist. Through Dec. 31. Daunis Fine Jewelry, 616 Congress St., Portland. www.daunis.com. “Eye Catchers,” annual holiday show. Through Saturday. Gleason Fine Art, Portland, 545 Congress St., Portland. www.gleasonfineart.com. Heartwood College of Art presents “Art of the Barn,” interpretations of local barns by local artists. Through Dec. 30. Brick Store Museum, 117 Main St., Kennebunk. www.brick storemuseum.org. Holiday Offerings 2013, selection of original works by regional artists working in a variety styles and media. Through Dec. 31. Richard Boyd Gallery, 15 Epps St., Peaks Island. www.richardboydpottery.com. New sculptures by Jeff Barrett, Gleason Fine Art, Boothbay Harbor, 7 Oak St., Boothbay Harbor. Through Jan. 4. www.gleasonfineart.com. Joe Guertin: “A Graphic Designer Remembered,” Through Jan. 26. Art Gallery, University of New England, 716 Stevens Ave., Portland. www.une.edu/artgallery. “Circo El Salvador,” images of traveling circus families by Steven Laxton. Through Saturday. PhoPa Gallery, 132 Washington Ave., Portland. phopagallery.com. Maine Artists Collective “Alchemy of Light,” paintings, mixed media, photography and digital art with the theme of light. Through Dec. 29. Constellation Gallery, 511 Congress St., Portland. constellationart.com. First Anniversary Show, paintings and photography by established local and emerging artists. Through Jan. 9. The DaVinci Experience Art Gallery, 267 Falmouth Road, Falmouth. www.davinciexperience.com. “Just What You’ve Always Wanted,” paintings, photographs, mixed media and more. Through Jan. 12. Elizabeth Moss Galleries, 251 U.S. Route 1, Falmouth. Southern Maine Community College Student Exhibition, self-portraits in charcoal. Through Jan. 31. Portland Public Library, Main Branch, 5 Monument Square. www.portland library.com. Michael Vickery, “Progressions in Time and Space: Traditional and 3D-printed Media,” through Jan. 15. University of New England Campus Center, Biddeford. Portraits of Recently Extinct Birds of the Eastern United States by Jada Fitch, Through Feb. 4. The Green Hand Bookshop, 661 Congress St., Portland. greenhandbooks. blogspot.com. Paul Black, new Portland paintings. Through Dec. 31. Fore Street Gallery, 372 Fore St., Portland. www.forestreetgallery.com. The Hive and Heartwood College of Art present “100 Birds for Haiti,” 100 works portraying birds by local artists being sold for $100, with half of the proceeds benefiting Partners in Development, an organization devoted to the emergency feeding of children in Haiti. Through Dec. 31. The Hive, 84 Main St., Kennebunk. thehivekennebunk.com. “Art in the Square,” 12 x 12-inch original artwork on canvas by local artists, proceeds benefit the student and scholarship fund. Through Jan. 5. Boothbay Region Art Foundation Gallery, 1 Townsend Ave., Boothbay Harbor. Quilted Assemblages by Donald Talbot and Beatrice Gilbert, Maine Fiberarts Gallery, 13 Main St., Topsham. Through Dec. 31. www.mainefiberarts.org. Jym St. Pierre: “Maine Landsc[r]apes,” photographs. Curtis Memorial Library, 23 Pleasant St., Brunswick. www.curtislibrary.com. Through Friday. Small Works Holiday Show, art by more than 60 artists. Yarmouth Frame and Gallery, 336 Main St. Through Jan. 31. www.yarmouth frameandgallery.com. Viola Glendinning, vistas in oil. Savory Maine, 11 Water St., Damariscotta. Through Jan. 7. savory mainedining.com. 8 Women Abstract Artists, 8 x 8-inch works by local artists. Susan Maasch Fine Art, 4 City Center, Portland. Through Dec. 31. www.susan maaschfineart.com. 9 Lively Ladies 9 x 9 Show, works by Lois Anne, Lolly Clayton, Nancy Fitzgerald, Elizabeth O’Haverty, Deb Winship, Rebecca Thompson, Edith LaRoche, Stell Shevis and Marietta Raveri. Eastern Tire Gallery, 70 Park St., Rockland. Through Dec. 31. “Our Beautiful Planet,” photography by George Petkov. Grapheteria Gallery, 143 Kennebec St., Portland 04101. Through Jan. 31. www. thegrapheteria.com. The Holiday Show, festive group show with works by more than 40 artists. Through Saturday. Greenhut Galleries, 146 Middle St., Portland. www.greenhutgalleries.com. Robert and Su.Sane Hake, “Fey Fairy Fey,” Camden Public Library, 55 Main St. Through Dec. 31. www.camden.lib.me.us. “Revision,” Matthew Demers and Allison McKeen. Monkitree, 263 Water St., Gardiner. monkitree.com. Through Feb. 1. “River Reflections – Maine Woods Mirror,” photographs by John Orcutt. Schoolhouse Gallery, 266 Main St. (Route 27), Kingfield. Through Jan. 3. schoolhouseartgallery.com. USM’s Kate Cheney Chappell ’83 Center for Book Arts presents Student Exhibition, Pope-Cheney Art Studio at The Wishcamper Center, University of Southern Maine, 34 Bedford St., Portland. Through February. www.usm.maine.edu/bookarts. “The Collector’s Choice,” photographs, lithographs, paintings and more by several artists. Through Jan. 3. York Public Library, 15 Long Sands Road. www.york.lib.me.us. Dahlov Ipcar, 20 new paintings. Through Saturday. Frost Gully Gallery, 1159 U.S. Route One, Freeport. frostgullygallery.com. “Art in the Square,” 12 x 12-inch original artwork on canvas by local artists, proceeds benefit the student and scholarship fund. Boothbay Region Art Foundation Gallery, 1 Townsend Ave., Boothbay Harbor. Through Jan. 5. Kennebec Valley Art Association “8x10x100,” proceeds support arts programming, pieces sell for $100. Harlow Gallery, 160 Water St., Hallowell. Through Dec. 28. harlow gallery.org. Portland Symphony Orchestra, “Magic of Christmas,” Merrill Auditorium, 20 Myrtle St., Portland. $31-$61. www.porttix.com. 1 and 5 p.m. Sunday. “Christmas with Renaissance Voices,” 21-voice a cappella ensemble, $15, $5 students. Cathedral Church of St Luke, 143 State St., Portland. cathedralofstluke.episcopalmaine.org. 2 p.m. Sunday. “The Sleeping Beauty,” live ballet in HD from the Bolshoi Ballet in Moscow, $15, $10 students. The Strand Theatre, 354 Main St., Rockland. rocklandstrand.com. 2 p.m. Sunday. Folk Dance Brunswick, world music and dance from the Balkans, Israel, Western Europe and around the globe; many dances taught. $8; $5 seniors and students. People Plus, 35 Union St., Brunswick. 6:30 to 9 p.m. Friday. Giant Fundraising Sale, benefit for the educational outreach program of the Maine Farms Project, new and used books, unique art rubber stamps, framed photographs, second-hand items, Shady Nook Farm, 515 Garland Road, West Newfield. 10 a.m. to 3 p.m. Sunday. 4th annual Wine Wise Sparkling Wines and Champagne: A New Year’s Primer, sommelier Erica Archer leads guided tasting and discussion; a gourmet cheese plate is included. $50; 21-plus. Portland Harbor Hotel, 468 Fore St., Portland. www.winewiseevents.com. 6 to 8:30 p.m. Thursday. Wine Wise Walk in The Old Port: Cabernet Sauvignon, sommelier Erica Archer leads a guided viticultural and walking tour, and a discussion and comparison of different styles of Cabernet Sauvignon, tasting a pair of wines and food at four restaurants. $45; 21-plus. Eve’s at the Garden, Portland Harbor Hotel, 486 Fore St., Portland. www.winewiseevents.com. 3 to 6 p.m. Saturday. 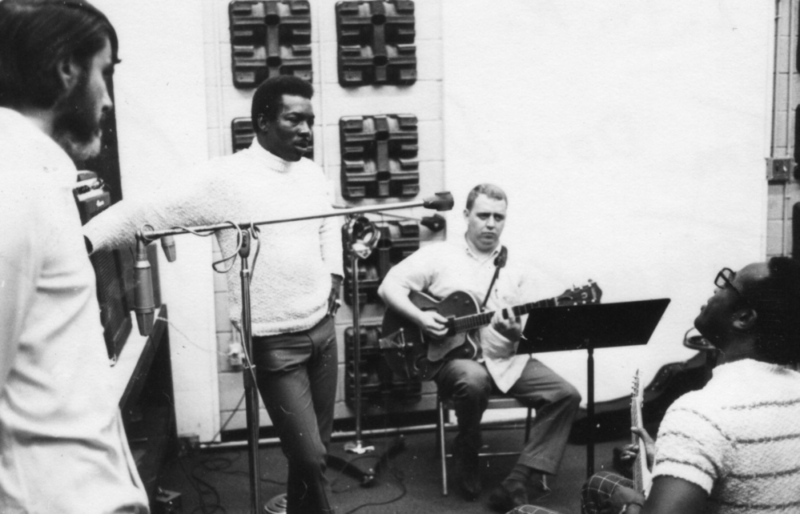 “Muscle Shoals,” documentary about Alabama area that’s a historic breeding ground for music, $8. Space Gallery, 538 Congress St., Portland. space538.org. 7:30 p.m. Friday. “Welcome to The Space Show,” co-presented with the Portland Children’s Film Festival. Director Koji Masunari’s colorfully explosive animated feature sets a new high for visual spectacle and inventiveness of character design. $6. Space Gallery, 538 Congress St., Portland. space538.org. 9:30 a.m. Saturday. Maine Native American storyteller Allen Sockabasin performs his story, “Thanks to the Animals” with musical accompaniment, plus a surprise special guest. Maine Coast Book Shop, 158 Main St., Damariscotta. www.mainecoastbookshop.com. 11 a.m. to 1 p.m. Saturday. Rhythm and Light: Inanna Sisters in Rhythm, One Longfellow Square, 181 State St., Portland. $15 advance; $20 door. onelongfellowsquare.com. 7 p.m. Sunday. Pretty Girls Sing Soprano, folk/acoustic, Andy’s Old Port Pub, 94 Commercial St., Portland. Free. www.andysoldportpub.com. Sunday. Chris Heard, folk, acoustic, Andy’s Old Port Pub, 94 Commercial St., Portland. Free. www.andysoldport pub.com. Monday. Bill Howard, singer/songwriter, Andy’s Old Port Pub, 94 Commercial St., Portland. Free. www.andysold portpub.com. Tuesday. Jonah Wisneski, Americana blues, Andy’s Old Port Pub, 94 Commercial St., Portland. Free. www.andys oldportpub.com. Thursday. Birdland Jazz, modern twist on jazz classics Gingko Blue, 455 Fore St, Portland. www.gingkoblue.com. 8 p.m. Thursday. Rob Schreiber’s Standard Issue, jazz from the Great American Songbook, no cover, Marriott at Sable Oaks, 200 Sable Oaks Drive, South Portland. 6:30 to 8:30 p.m. Friday. Tommy O’Connell & The Juke Joint Devils, Gingko Blue, 455 Fore St, Portland. Free. www.gingkoblue.com. Saturday. What Sweeter Music: A Festival of Carols, celebration of the Christmas season with an array of favorite carols as well as several new Christmas songs. Free, donations accepted. Raymond Village Community Church, 27 Main St. [email protected] 2 p.m. Sunday. Harvey Reid and Joyce Andersen, 6th annual holiday concert, $15, $8 students. Museums of Old York, 3 Lindsay Road, York. www.oldyork.org. 6 p.m. Sunday. “Joy to the World” Christmas at Victoria Mansion, $15; $13.50 seniors; $7 college students; $5 for children ages 6 to 17, free for under 6. Victoria Mansion, 109 Danforth St., Portland. victoriamansion.org. 11 a.m. to 4:30 p.m. Tuesday through Sunday; 11:30 a.m. to 7:30 p.m. Monday. Through Jan. 5. “Carols in the Round” performed by the Mount View High School Chamber Singers, United Christian Church, 30 Searsmont Road, Lincolnville Center. Free will donation to benefit the singing group. 4 p.m. Sunday. “Sing! It’s Christmas,” community sing-along with appearance by Santa, donations accepted. Chocolate Church Arts Center, 804 Washington St., Bath. chocolatechurcharts.org. 7 p.m. Monday. Ice Kings and Queens Winter Wonderland, with DJ Hatchet, $5; 21-plus. Spire 29, 29 School St., Gorham. www.spire29.com. 8 p.m. to 1 a.m. Friday. Holiday Guitar Night, featuring Eric Lugosch and Stephen Bennett in a concert for the season, $22; free for 18 and under. Lincoln Theater, 2 Theater St., Damariscotta. atthelincoln.org. 7 p.m. Saturday. “The Holly and The Ivy: Festival of Trees,” dozens of gorgeously decorated trees and wreaths. Saco Museum, 371 Main St. Through Dec. 29. www.sacomuseum.org. “The Snow Queen,” beloved fairy tale of devotion, bravery and the triumph of love, $35-$45, $15 for children under 15. Portland Stage Company. portlandstage.org. Noon and 5 p.m. Sunday. “A Christmas Carol: The New Musical Tale,” two-person musical, $18, $15 matinees. Clay Hill Farm, 220 Clay Hill Road, Cape Neddick. clayhillfarm.com. 2 p.m. Sunday. “The Gift of the Magi,” holiday musical set in the ’40s, The Footlights, 190 U.S. Route 1, Falmouth. $15, $18. thefootlightsinfalmouth.com. 2 p.m. Sunday. “A 1950s Holiday Show,” a tribute to classic TV Christmas specials, $10. Portland Players, 420 Cottage Road, South Portland. www.portland players.org. 2:30 p.m. Sunday. “A Christmas Carol,” one-man show starring Michael Tobin, The Footlights, 190 U.S. Route 1, Falmouth. $10. thefootlightsinfalmouth.com. 5 p.m. Sunday. “The Best Christmas Pageant Ever,” unconventional Christmas story, with humorous fashion and local musicians, tells the story of six delinquent children, $10, $7 children. Chocolate Church Arts Center, 804 Washington St., Bath. chocolate churcharts.org. 7:30 p.m. Sunday. “The Velveteen Rabbit,” performed by actors ages 8 to 13, $8, $9. Children’s Museum and Theater of Maine, 142 Free St., Portland. kitetails.org. 1 and 4 p.m. Sunday; 1 p.m. Monday.